Approximately 42,000 patients each year are diagnosed with rectal cancer in the USA. Approximately 8,500 die of this disease. Despite remarkable recent advances in new oncologic agents, cure is almost never achieved without surgical resection. 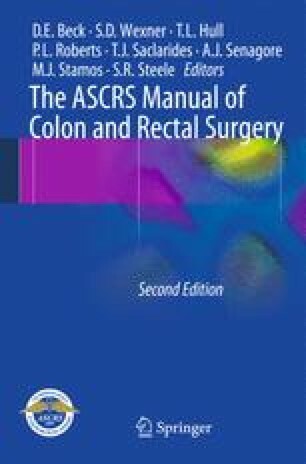 Management of rectal cancer is varied and complex because of the evolution in multimodality therapy and refinements in surgical techniques.